I love Christmas. Christmas Eve especially. I know everyone gets overwhelmed this time of year with all the holiday traditions, requirements etc, but I still love it. One of my favorite Christmas' ever was just a couple years ago when it snowed in Seattle on Christmas Day--it was so beautiful and made me feel like a kid again back in Montana. My memories of Christmas growing up are strong ones. I remember the food, the stockings, the trips to get a tree, the anticipation that something wonderful was going to happen, and thanks to my Mom and Dad, it always did. 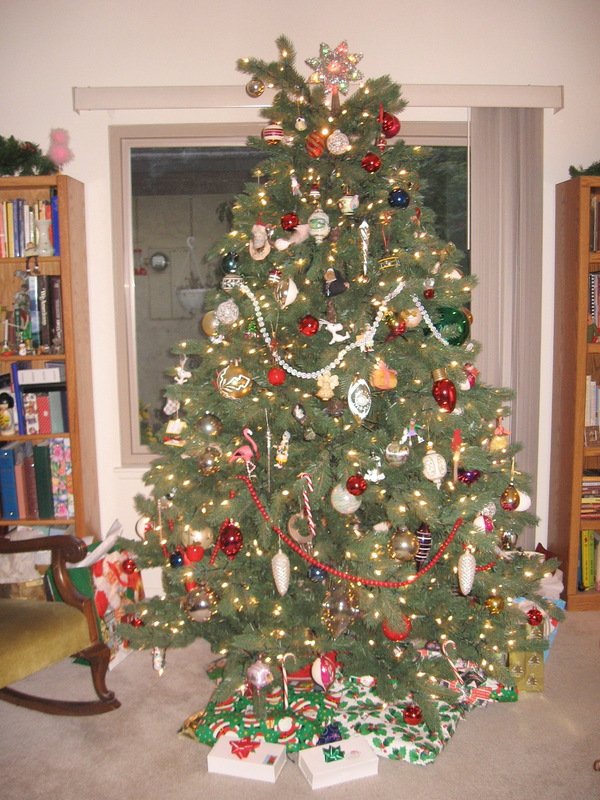 It wasn't until years later, when I was in college, that my Mom confessed that for years Christmas was the most difficult time of the year for her. And no wonder. When she wasn't baking four hundred different things for our house but all our neighbors on the block, she helped out at local charities, cooked giant meals, and was able, with not a lot of money to make four kids and her husband have a magical Christmas each year. Being a mother myself with two, I am in awe of what she did. This year has been a challenging one not only for me, but for friends that I care about. Despite my best efforts for being in the Christmas spirit, yesterday I had had it. The Christmas carols on the loud speaker in the store were overwhelmingly sad to me, the stores stuffed with too much stuff. I left and went back to my car and put my head on the steering wheel. I though of my friend Elizabeth, back in Texas, having just lost her Dad a couple months ago, a friend whose Mom is gravely ill in the hospital, and my friend who told me that he was never going to fall in love again, it was too difficult, too painful. My Christmas spirit took a nose dive. After an incredibly bad nights sleep, I decided it was time to think again, about the meaning of Christmas. And of love, of doing things that are hard, of making the most of what you are given, and of finding again the things that matter, that make you happy. Things don't always turn out as we have planned, and we don't always get exactly what we want, maybe not the first time anyway. Or the second. And I am not talking about that yucky green sweater wrapped under the tree for you. Take that sweater and return it. Take that leap of faith, don't waste time wishing you had said something, say it. Love. I can tell you that my Mom and Dad still have that loving & giving Christmas spirit, years after the pressures of parenting have gone away. My Dad is in charge now, of putting out the nativity set and setting Santa out on the porch swing, while my Mom watches from her wheelchair. I have to say the best gift I have ever received was their love--it helped make me into the happy and confident woman I am today. And the memories of that wonderful time of the year when I was growing up have stayed with me always. 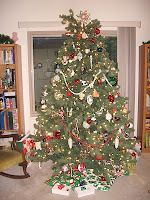 I may be a little tired of the Christmas carols, (and our petrified tree does get ripped down on the 26th!) but I am certain that what I want for Christmas, is already mine. Merry Christmas.